The wheels are based around a shape that fits inside a cube. 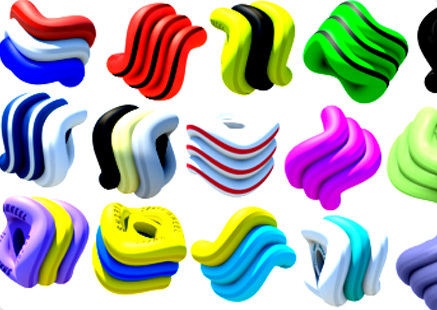 They aren't quite a square, and aren't quite circular, but are made up of three strips, each of which create a helical shape when they roll. This forms a sine wave pattern where the wheels make contact with the ground. The creators say this results in less friction points on the ground to allow the wheel to roll faster than a traditional skateboard wheel and also allows for better handling in rough and wet terrain, which causes problems for normal wheels. The sine wave pattern also grants improved lateral grip, as the width of the wheel is able to be increased without adding any unnecessary friction, and thus, slowing down the board. It also provides three lips for stopping, where a traditional wheel only has one. Another interesting application of Shark Wheels is the ability to mix different hardnesses in the same wheel. 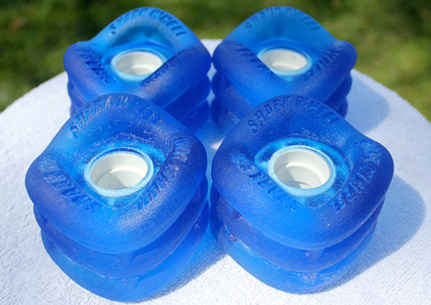 The hardness of a skateboard wheel is measured in terms of durometers, and the three interlocking pieces of this particular wheel allows the rider to choose three different ones in each wheel, which grants extra customization in terms of grip and slide. 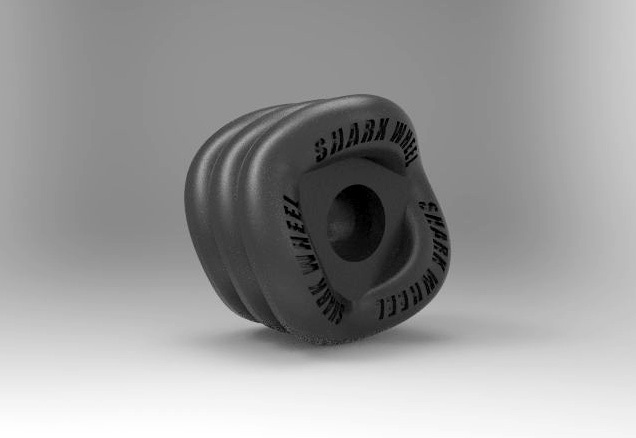 Shark Wheel is seeking funding for its interesting new wheel design on Kickstarter and is offering a wide range of options for backers. Buyers looking to add the 70 mm wheels to an existing board can do so for a minimum pledge of $50 while the early bird special lasts. Once those are gone, the required pledge goes up to $55. The team has already reached its funding goal, so deliveries should start rolling by September 2013. 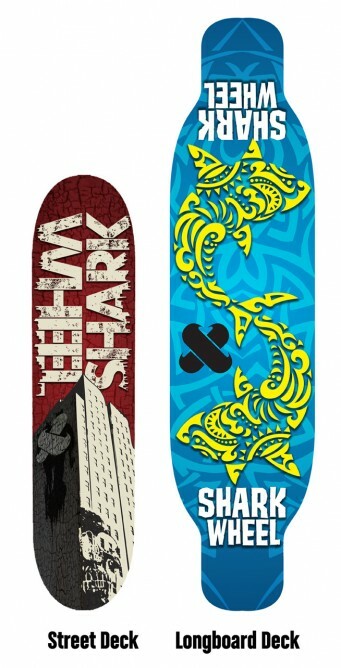 The Kickstarter pitch below provides more information on the Shark Wheel and shows actual skateboarders trying them out.